Oh my! What a fun interview! 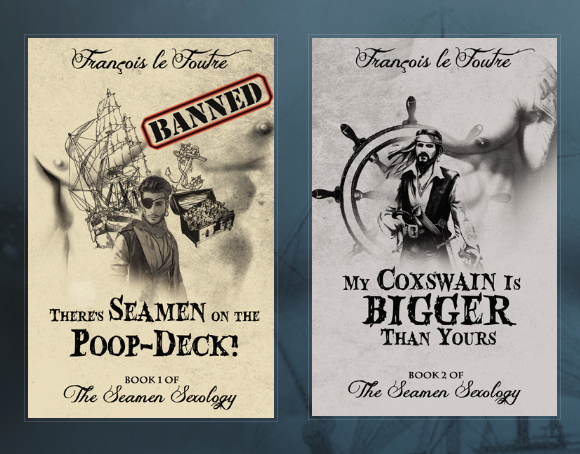 I had the pleasure to interview the grand François le Foutre as he discusses his book series and adventures called ‘The Seamen Sexology‘. According to his website, he conquers and dominates his enemies and lovers alike. Banned by the Texas Renaissance Festival, it’s the gay, pirate romance adventure you’ve always secretly wanted! Enjoy this fun-as-hell interview from Austin Wizard World! Take the Adventure with François le Foutre by CLICKING HERE! This entry was posted on Wednesday, October 12th, 2016 at 9:48 am	and is filed under Comics, Events, News. You can follow any responses to this entry through the RSS 2.0 feed. You can skip to the end and leave a response. Pinging is currently not allowed. « Interview with ‘Zoology’ Director Ivan I. Tverdovsky!